EHV-1 is a common viral infection worldwide that is mostly spread by reactivation of virus in non-symptomatic, latently (silently) infected horses. Although many infections go unrecognized, some are associated with respiratory disease of varying severity, abortion, neurological disease or newborn foal death. 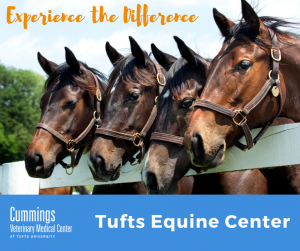 Neurological disease due to EHV-1 infection is often referred to as equine herpesvirus myeloencephalopathy or EHM, and may present with a sudden onset of weakness, incoordination or imbalance, and bladder dysfunction (urine dribbling). Neurological signs generally develop 4–9 days after the initial EHV-1 infection (1-4 days after resolution of fever). Older animals are considered at increased risk for development of EHM during an EHV outbreak. In order to promote further awareness of this disease among horse owners and veterinary professionals, the following general recommendations have been adapted from the USDA, animal and plant health inspection service, and recent publications (Dunowska 2014) to facilitate biosecurity in the field setting. How can I limit exposure of my horse to EHV-1? Key fact: The ultimate reservoir of EHV-1 is the HORSE, including both virus shed from actively infected, sick animals and reactivated virus from so-called healthy carrier horses (silent shedders). Both the common (wildtype) and a mutant neuropathogenic EHV-1 strain can lead to neurological signs. A physical barrier (plastic drapes) may help, but will not eliminate spread disease spread of particles transmitted though droplets in the air. Don’t use pitchforks, grooming tools, or feed and water buckets on any horse but the isolated one. Mark these with red tape to color-code brushes, buckets, cleaning equipment etc., only for the isolation area. Use dedicated clothing (coverall, boots, shower cap) and remove these before leaving the isolation area. You can keep these in a plastic-covered tub near the horse. Always wash your hands after working with an isolated horse. Work with the isolated horse last each day. Only allow access to dedicated personnel if possible. Take the isolated horse’s temperature twice a day and consult your veterinarian if the body temperature rises above 101.5o Watch for signs of dullness, nasal discharge, inappetence, lack of balance or incoordination, as directed by your primary veterinarian. It is best to have only one way into your farm. Mark this as the main entrance. Park away from the horses. Doing this will help keep disease-carrying organisms from being tracked from car floors or tires to your animals. Ask all visitors to wear clean clothes and shoes. Give visitors plastic shoe covers, or brush dirt off their shoes and spray them with disinfectant. If you have many visitors, such as at a farm tour or open house, make a footbath for them to walk through. Talk to your farrier and primary veterinarian about specific measures they can institute to limit possible cross contamination between animals they visit. Use a spray disinfectant over areas with which horses have made contact. Herpes viruses are susceptible to many disinfectants. In general, a 1:10 dilution of bleach to water is effective against EHV-1. Both alcohol and bleach disinfectants are inactivated by organic matter, such as manure and soil. Before disinfection, all areas must be thoroughly cleaned with soap or detergent to decrease the organic matter present. In barn environments, it is advisable to use a disinfectant that retains activity in the presence of organic matter since it cannot be completely eliminated. Phenolics, such as 1 Stoke Environ® or SynPhenol-3®, and accelerated hydrogen peroxide products, such as Virkon® and Accel®, retain activity in the face of residual organic matter better than most other disinfectants. Be sure to follow manufacturer recommendations and label instructions! If I get EHV-1 on the farm, how should I handle this? All management of EHV-1 should involve close communication with your primary and state veterinarians! Establish an EARLY diagnosis through PCR analysis of whole blood and nasal swabs for genomic copies of EHV-1 (including neurotrophic strains). Be aware, that neurological signs often develop after the virus is no longer detected in blood (cessation of viremia). Therefore, in some cases both nasal swabs and blood samples may be EHV-1 negative by the time they are collected from clinical cases of EHM. Wear protective outer clothing (including hair-cover), disposable latex gloves and disinfectant-immersible footwear, all of which needs to be removed upon leaving the isolation area. Once an EHM (suspect) case has been identified, recording rectal temperatures twice daily of the general equine population should be mandatory. Any additional cases of fever (T> 101.5 in any horse or T>100.5 in horses receiving anti-inflammatory medications such are bute or banamine) should be thoroughly investigated and immediately isolated from other horses. Horses can shed EHV-1 (from the nose) for up to 3 weeks after infection. Quarantine periods may be mandated for up to 28 days following resolution of viral shedding and fevers in affected horses. EHV-1 does not survive well outside of the horse. Experimentally, the virus survived for up to a week at ambient temperatures when dried onto paper, wood or rope, and up to 35 days on horsehair or burlap. Treatment of individual, affected horses generally focuses on reducing the inflammation associated with EHV-1-induced vasculitis (inflammation). Anti-viral therapy (most commonly Valacyclovir given by mouth) has been used to reduce viremia (virus in the blood) in individual horses. Vaccination: None of the available vaccines are currently marketed for prevention of EHV-1 neurological disease, nor claim to prevent establishment of latency following EHV-1 infection. However, routine vaccination is recommended to reduce the degree and duration of viral shedding in horse populations. The duration of natural immunity following EHV-1 infection is thought to be short, and re-infection can occur every 3–6 months.